Roesland on North Pender Island is one of the properties that form the Gulf Islands National Park Reserve, and is home to the Pender Islands Museum, located in the Roe House, which offers a glimpse into the past of the Pender Islands. 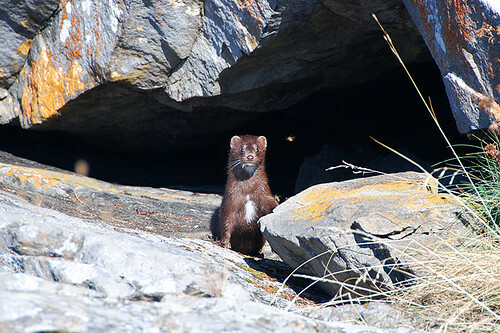 The property comprises the restored Roe House and vacation cottages, a small footbridge that leads out to a short trail and a viewpoint on Roe Islet, and the freshwater Roe Lake. 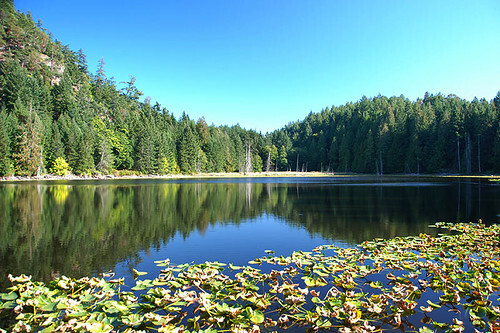 Covered in mostly second-growth Douglas fir forest, the uplands above Shingle Bay adjacent to Roesland protect a rarity in the Gulf Islands — a natural freshwater lake. 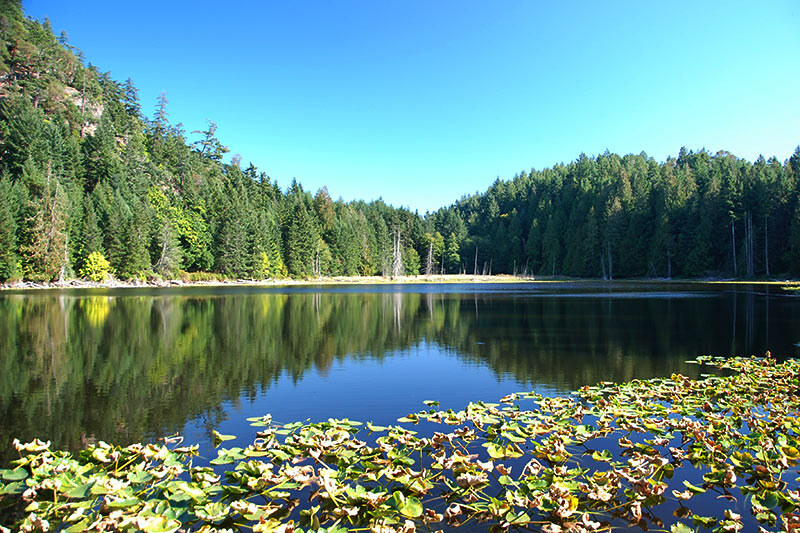 A short trail system leads up to Roe Lake. 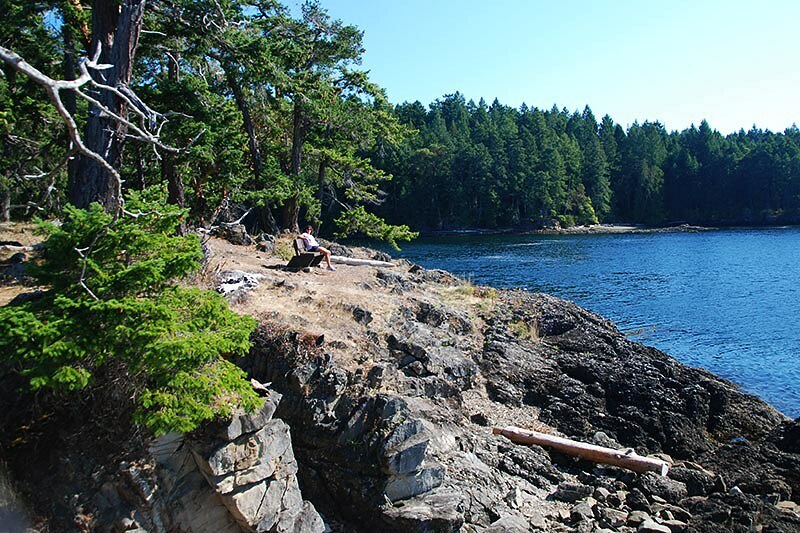 Robert and Margaret Roe emigrated from Scotland and settled in Victoria 1896. A few years later they moved to Pender and purchased land from Washington Grimmer on the Port Washington Road. In 1906 they purchased a 650-acre parcel of virgin land on the south side of Otter Bay, and began the arduous task of developing a simple farm that they named Roesland. 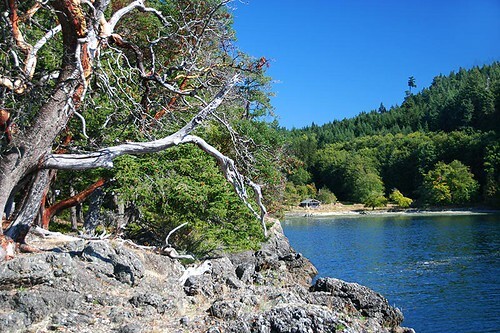 Roesland on Ella Bay began as a pioneer farm, literally carved out of an old growth forest whose dense foliage overhung the beaches. As there was no market for timber at the time, the land was cleared for farming by burning the standing trees until they fell, and then continuing the burn of the trunks and stumps where they lay. By this means some 30 acres were cleared for cultivation. The house was built by the Roes in 1908 as a typical farm house of that era. The house was constructed from a kit, with the lumber largely pre-cut to the amount and dimensions required. All components above the foundation were delivered by barge to Roesland, and the house was completed in five days! The invoice from the Chemainus Lumber Company shows the delivered cost of the material as $589.62. The original layout on the first floor consisted of an entrance hall, a parlour, kitchen and pantry, and three bedrooms. The second storey was a large loft with limited headroom. Later, in 1935, all interior walls were removed to create a large open space to serve as a community hall for the entertainment of the guests of the resort. In 1975, the open space was divided to create a workshop and additional storage space. 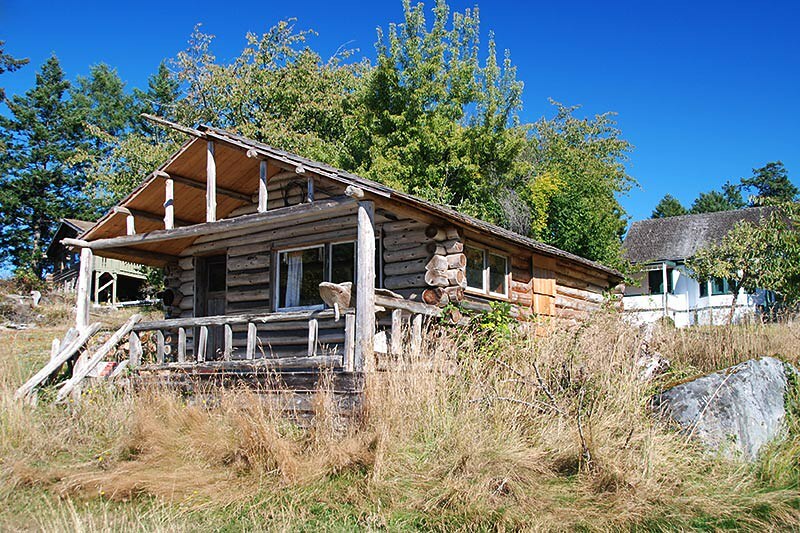 In 1912, a cottage on the property was casually rented, and its popularity for further rentals indicated the potential for more vacation cabins. By 1917, Roesland began advertising itself as a “Farm-Resort”. Guests more often than not willingly participated in the chores of the farm, from the milking to haying. Accommodation in these early days was spartan by any standards, with guests providing their own bedding, china, cutlery and kitchen utensils. Gradually their son Bert and his wife Irene took over the operation of the farm and the developing resort. In 1971, the property was sold to David and Florence Davidson. David had been a regular guest at Roesland for more than 40 years, and he and Florence continued the warm, hospitable and family nature of the resort until it closed in 1991. 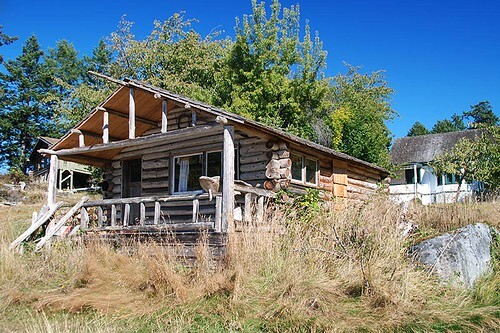 When Parks Canada acquired Roesland, the original homestead had sadly deteriorated and was close to collapse as many of the foundation pasts had rotted away. 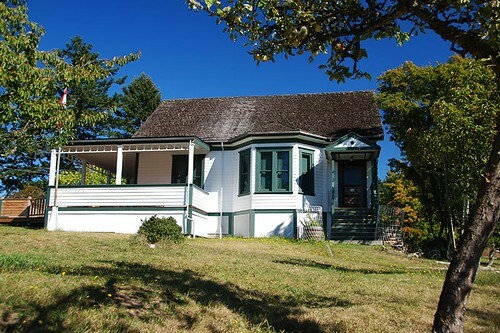 Parks Canada offered the use of the building to the Pender Islands Museum Society, with a long term lease at negligible cost if the Museum Society would restore the building to a condition suitable for public access as a Museum. The Museum Society would also assume full responsibility for all maintenance and annual operating expenses, and would receive no financial assistance from Parks Canada. The Museum Society accepted that offer and began a two-year restoration process, that included replacing the posts with a proper perimeter foundation, and the construction of a replica of the missing front porch and portico. The Museum was officially opened in July, 2005. 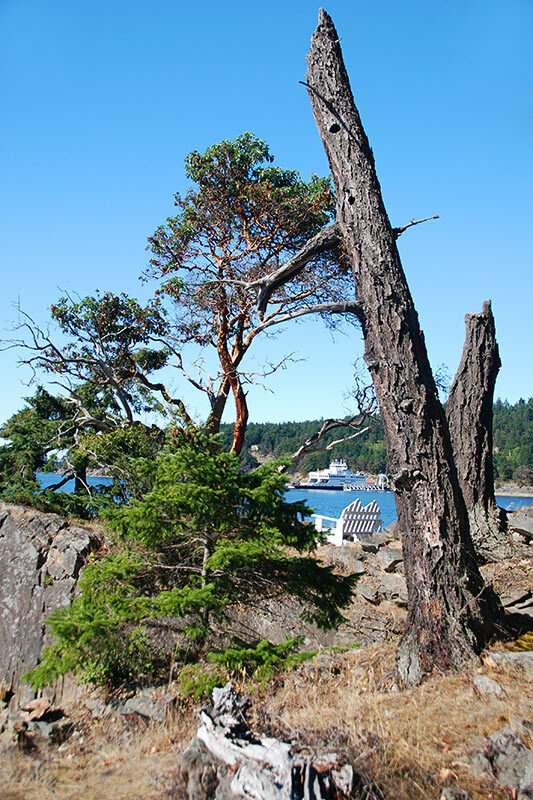 The Pender Islands Museum at 2408 Otter Bay Road is open from Easter through to the Thanksgiving weekend, from 10am to 4pm in July and August, and 1 to 4pm on Saturdays and Sundays. Admission is by donation.